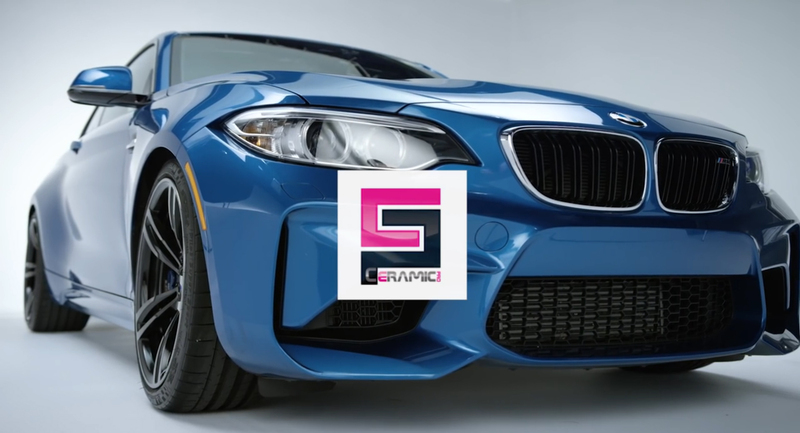 Ceramic Pro are a range of advanced protective coatings for Automotive Paint, Fabric, Leather, Glass and Plastic surfaces that are applied by our exclusive network of Approved Applicators Australia Wide. 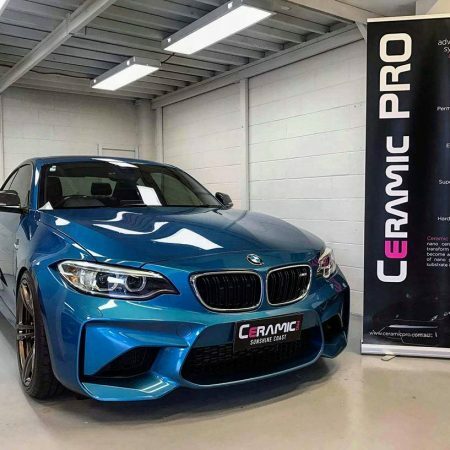 Ceramic Pro Paint Protection is a Permanent Car Paint Protection suited to both New and Used cars, forming a permanent adhesion to the factory paint work that cannot be washed off or removed by heavy cleaning chemicals, making it the most durable paint protection available. It offers protection from damaging environmental fall out and helps keep your car cleaner for longer and easier to clean! We Come To You : Servicing Brisbane & Surrounding Areas. Ceramic Pro are one of the largest Automotive Protection companies in the world, available in over 70 countries and backed by SGS - The World's Largest Certification Lab. Ceramic Pro Brisbane are highly trained in the application and technical aspect of all products. Fully equipped workshop conveniently located in Brisbane. Ceramic Pro Paint Protection is a High Gloss Permanent Bond Nano-Ceramic Coating that can only be applied by Approved Applicators and is backed up by a Lifetime Warranty*, compared to factory paint work it utilises the latest ceramic nanotechnology to give your paint work superior Chemical Resistance, UV & Thermal Resistance, Anti-Graffiti and Super Hydrophobic effect. The super hydrophobic and anti-graffiti effect of the coating means any liquid that comes in contact with the surface will simply bead up and roll off along with any dirt and grime, keeping your car cleaner for longer and easier to clean. The ceramic layer will give additional hardness to your paint work and provide the best protection from damaging environmental contaminants and harsh chemicals that would otherwise compromise the factory clear coat, such as bird / bat droppings, bug splatter, tar and tree sap. Ceramic Pro has been officially tested and certified by “SGS”. SGS are the world’s largest and leading inspection, verification, testing and certification company. Ceramic Pro Alloy Protection is a protective coating which is based on Nano-Ceramic formula. Ceramic Pro Alloy Protection will help protect your wheels from damaging brake dust that would otherwise bake onto the surface and cause damage. Ceramic Pro Rain is a protective coating which is based on Nano-Ceramic formula. Ceramic Pro Rain is the most super hydrophobic glass coating available. Surfaces coated with Ceramic Pro Rain will bead water, making rain water roll straight off the glass while driving at speeds of only 50km/h and higher, almost eliminating the need of windscreen wipers. Ceramic Pro Leather is a true leather protective coating which is based on a Nano-Ceramic formula. Leather surfaces coated with Ceramic Pro Leather stay cleaner for much longer and are protected from UV damage, liquid spills and damaging chemicals. Ceramic Pro Fabric is the most super hydrophobic coating available that can be applied to any textile surface. Surfaces coated with Ceramic Pro Fabric are protected from liquid spills and damaging chemicals that may stain or discolour the fabric surface. Looking for a fast quote? Submit the below form and we'll get back to you with a price and availability - We Come To You!